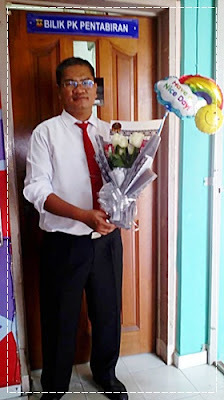 A delivery girl arrived in school - carrying a chocolate/flower bouquet for Teacher's Day - better late than never kind of thing. It was a surprise that happened once in a million years (even though I was already informed by the delivery girl herself she would be in school for delivery the night before). My heartiest thanks to Ms. Khaulah Abd. Rahim and Ms. Safia Ebi Shahrin, ex-students of SMK Taman Universiti SPM batch 2006, for the kind and thoughtful gesture. Only Allah may repay their good deed in this holy month of Ramadhan. MOVIE REVIEW - "DEADPOOL 2"